As is so often the case, I draw many ‘Morning Coffee’ topics from the daily discussions I have with people in the sport. More often than not, it’s either my conversation partner or myself who eventually blurts out…“that should be a column”. We discuss the positives and negatives of the current state of karting or the open wheel ladder system, and there are always points of agreement and contention. There is one particular theme that is a common place in my daily regime, and it’s been amplified lately. I’ve been involved in numerous conversations over the last two weeks with parents who are lamenting the high costs of racing or asking how to find funding so that their son or daughter can continue to chase their dream to race cars professionally. This particular Morning Coffee segment isn’t really designed for the club racer who simply enjoys our sport for what is it – a pure racing experience. I expect that they’ll likely get a kick out of it still. It’s also not for the family who karts together to spend time at the track working with their kids. This is truly for the family who is intent on trying to provide their child with the opportunity to develop a professional career driving cars at the highest levels. It’s a lofty goal, for sure, but it’s a respected one as well. I understand the desire to help your kids achieve their dreams. It’s admirable. So, to that point, this particular column will summarize the advice that I offer when asked. Please be aware, it’s not likely want you want to hear. You see, if I were to settle into a lengthy discussion with every parent who has called asking for input or guidance, I wouldn’t get a single thing done in my office. So, over the years, I’ve come up with a single piece of knowledge, a recommended book purchase and one clear concept of advice. It’s simple, straight-forward and no-nonsense. I personally believe that it costs about $5,000,000-$6,000,000 to take your child from Cadet karting to the front door of IndyCar. That’s eight years of karting, a year of focused F1600 testing, a full year in F1600 competition to prepare for the Mazda Road to Indy, and then two years each in USF2000, Pro Mazda and Indy Lights. 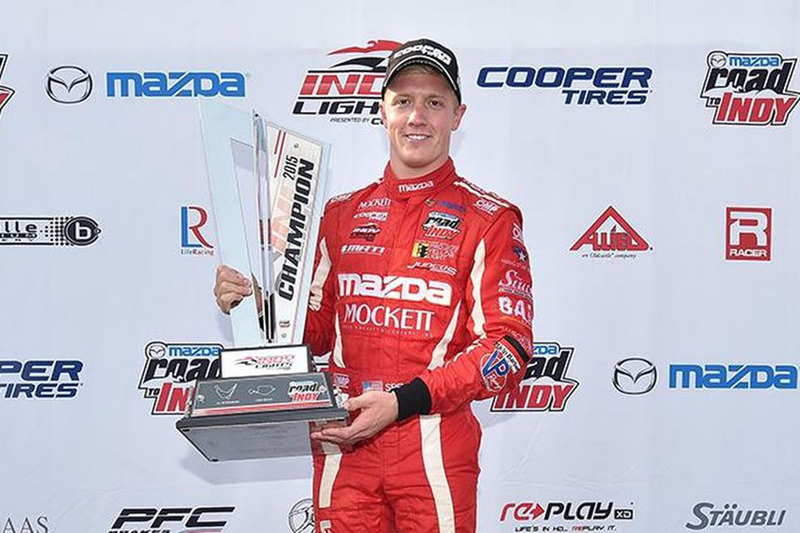 You learn the car and the tracks the first year at each level of the MRTI, and then you gun for race wins and the championship in the sophomore season. At this point, you’ll need to buy your child’s first year of IndyCar and then they’ll need prove themselves quickly. This isn’t a scare tactic, by any means, it’s just the reality. Don’t kid yourself, those are the real numbers. So, what should be taken from this is the fact that generating key business and marketing partners to fund this program needs to happen early…meaning, in karting, not later. You either need to have large family fortune or you need to become an expert in marketing. I don’t pretend to know how to design marketing packages or Business-To-Business (B2B) deals. That’s not my forte. Yes, I think I could fake it and put together a decent package to offer value to a prospective partner, but it’s not what I do. Almost everyone asks if they could hire me to do that, and my response is the same. It’s not what I do. Sadly, there are not a lot of books available that can detail this for parents either. You can explore the Internet for articles, which I would recommend. There is some good stuff out there. As for actual books, the best I’ve read is called ‘The Great Money Hunt’ by Andrew Waite, and I know you can still get it on Amazon, for example. It was published over 20 years ago, so much of it is a little dated, but it’s still good reading. Truly, I tell people to invest the $20 in this book to get them off the phone. If they call back for more advice, I ask if they took my first suggestion and bought the book. If they say that they didn’t, the conversation is over. Don’t waste my time asking for my advice if you’re not going to use it, especially when it comes less than $50. Again, the underlying message is that you need to educate yourself, and your child needs to be educated as well. Being a professional race car driver is 25% driving and 75% marketing, sponsorship, promotion and partner support. A better balance might be 10%-90%. It’s that important, especially if you’re trying to get to the top. Having been in the sport of karting for over 20 years as a racer and a journalist, I have watched waves of drivers move from karts to cars, all pursuing the dream of a professional career. I’ve watched a number of them succeed, but I’ve also watched a vast majority hit the inevitable budget wall and surrender. This is where the cynical side of my thinking on this topic is fueled. I can count on two hands the number of drivers who were funded by their families to the base of the budget wall, then even in the face of having zero budget, continued to push on their own to fulfill their dreams when they needed to find the funding themselves. 99% of the racers quit the sport when their family money is not enough. 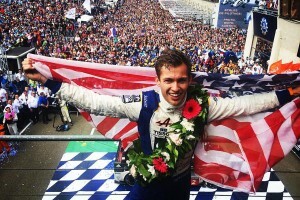 I’ve heard the passionate statement “all I want to be is a race car driver” too many times. It’s normally a line of BS. They ‘think’ that’s what they want, but it’s disheartening to watch a young man or woman bail on their so-called ‘dreams’ when confronted by a potentially insurmountable hurdle, only to head off, buy a sports car, and leave the sport so easily you wonder if they ever liked it in the first place. This is why I have so much respect for the diehards who never stop chasing their dream. If you really want to be a professional race car driver, you’ll find a way. And if you don’t, you’ll be racing something, somewhere, something you can afford personally, because it truly was ‘all you wanted to be’. Just look at the Masters classes in karting for the guys and girls who actually wanted to race and now feel fortunate for the opportunity. With that being said, my current piece of advice is this. And remember, it is only MY advice, nothing more, nothing less. It’s what I currently tell the parents who call specifically asking for my input. I tell them this. Make sure that your child has a financial stake in their karting program. Whatever they race, require that they secure sponsorship for percentage of the budget. You pick the number…10%, 25%, whatever. Let’s look at 25%. If the program that you child is going to run will cost $10,000 for the year, require that they personally find $2500 in sponsorship. Start when they’re young, as it will make it much easier. Trust me, this is a skill that they will need to have for the rest of their career, if they’re lucky enough to have one. I don’t care if your son or daughter is eight-years-old; secretly give the $2500 to their grandparents to give back to the program, but make your child write up a sponsorship package using crayons, if that’s all they have. Seriously, kids are super-savvy with their computers these days, so work with them to come up with a list of what they can do for their ‘sponsor’. It can be as little as a post-race update email to their sponsor each event and a signed photo at the end of the season. Even with something as small, you’ve activated your child to understand that they need sponsors to go racing and that they need to provide them with value I return from the funding. It’s understanding the concept of ROI – Return on Investment. It’s a good life lesson all on its own. Then…keep it going. It costs over $250,000 to race USF2000 for a season, so with this approach, your driver will need to find $62,500 in sponsorship. But, with almost 10 years of experience and work on their resume coming from Kid Karts on up, their marketing partners might already be in place. I can tell you, if you arrive in USF2000 and your son or daughter have already signed over $60k in sponsorship on your own, they will be ahead of 75% of the drivers in the paddock. Now, if you and your kids are just racing for fun, and you don’t expect them to yearn for a professional career, ignore this advice and just enjoy yourself. I fully understand investing in your memories and time together. Your kids will learn a great deal from the competition, the reality of winning and losing, and they’ll gain skills, character and friends. But, if your five-year-old Kid Kart wonder is already talking about being the next Josef Newgarden, James Hinchcliffe, Kyle Larson or Chase Elliott, my advice is there, take it or leave it.